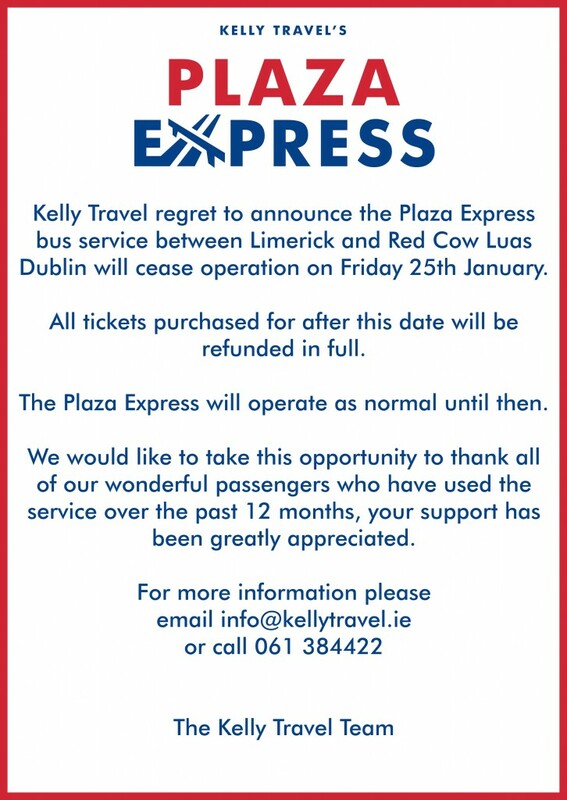 The Plaza Express service no longer operates. However, Kelly Travel operate bus services to concerts & festivals as well as buses direct to Dundrum Town Centre! Kelly Travel provide public bus services to concerts, festivals and sporting events. Venues include The O2 Arena, Croke Park, Aviva Stadium, RDS, Punchestown, Slane, Stradbally Hall etc.